A magazine photo showing the dark-shirted Frank Munro stretching in a battle for possession during the epic 1967 American tournament final against Aberdeen. It is 60 years or so since Wolves were hailed as the planet’s finest club team following their victories over Europe’s most powerful rivals. Now, with a change of ownership in the offing, perhaps it is a good time for a slightly different take on that claim. In another of our occasional link-ups with our friends on the outside, freelance writer Tom Lucas sent this piece….. It is well known that Wolves were founder members of the Football League and played a key role in the establishment of what is now the Champions League. As a leading side, who won the FA Cup four times and the League three times by 1960, they were naturally one of the first clubs to play in the newly formed European Cup. It was their victories against top European and world sides, including Honved, whose Hungarian nationals had recently twice humbled the England team, that led to the national press dubbing them ‘Champions of the World’. This inspired French newspaper L’Équipe – in particular editor Gabriel Hanot and reporter Jacques Ferran – to propose the setting-up of a European club competition similar to the antecedent of the Copa Libertadores, the Campeonato Sudamericano de Campeones. Wolves have a rich history, of which supporters are rightly proud; one which has helped sustain them through more barren years since. Achievements of decades ago are something that fans can romanticise over in a way that is probably alien to the modern supporter. Look at the Premier League, for example. Such is the impatience for success that managers like Jose Mourinho can easily find himself reviled by the same fans who revered him five months ago when he lifted the Premier League title. We honour our club’s achievements by proudly wearing retro kits from our favourite seasons, be it an FA Cup win, League title glory or through gaining promotion. We buy scarves, t-shirts, pins, books and signed photographs galore. The official numbers are a little dated as maybe no financial statistician wants to do the leg-work and establish what the outlay is today. But informed estimates suggest that the average UK football fan spends close to £200 a year on merchandise ranging from officially licensed club products to those sold from stalls outside the grounds. Football is something to enjoy and we don’t limit it to just our own club. When it comes to video games and TV subscriptions, we happily tune in to watch leagues and competitions that our favourites aren’t involved in. There are many ways to enjoy football, including themed products. Gary Neville’s Café Football is a great place to eat and isn’t a homage to any one club – it celebrates the game as a whole. Playful themed games like MrSmithCasino’s football slot are immersive and fun, with familiar icons to match such as ‘tackle’, ‘shoot’, ‘overhead kick’, ‘goal’ and ‘referee’. That, too, is non-club-specific and has a wider appeal. Fantasy Leagues are massively popular. You won’t find any Wolves players in there but that doesn’t mean you can’t have fun with them, testing your scouting and tactical knowledge against ‘managers’ from all over the world. 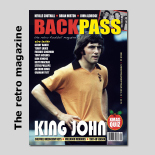 Fans of clubs with the history and longevity of Wolves are generally more knowledgeable about what happened in football’s past, so why not test yourself with a football quiz app? Challenge your friends to see who knows the most. 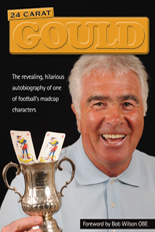 You could try your hand at the questions in the official quiz book or one of the online quizzes for football songs. The Hi Ho Wolverhampton! anthem stems, of course, from the Jeff Beck hit of 1967 – a significant year for Wolves. 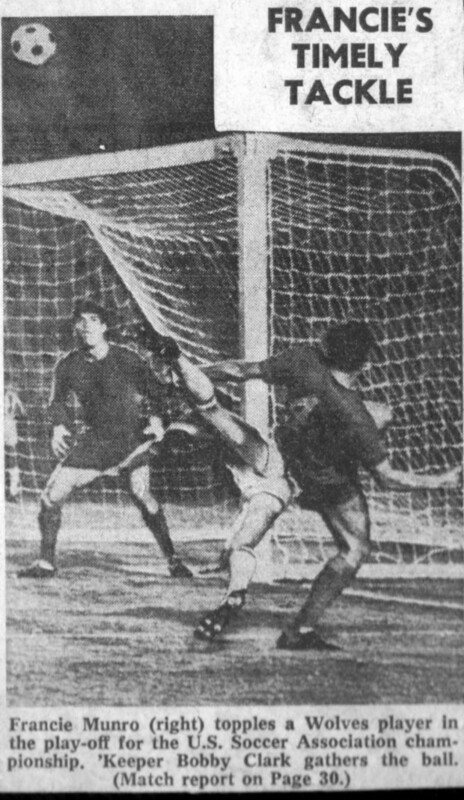 That was the summer Ronnie Allen’s side took part in the newly created United Soccer Association League in North America and, as Los Angeles Wolves, played their home games in the 93,000-capacity Coliseum. They won the Western Division with 15 points from 12 games, winning five, drawing five and losing two games. Much has been said about they went on to spectacularly win the final against the Eastern Division champions, Aberdeen (the Washington Whips), 6-5 after extra time. Not many teams can say they have won titles in two different leagues in two different continents, so Wolves probably fully earned the moniker of ‘Champions of the World’ in the end. Posted on: Wednesday, October 21st, 2015.